Our perfectly designed broad array of SS Shoe Rack is highly demanded because they offer compact and well-organized shoe storage in addition to being airy. These offer spacious place for keeping the shoes in. Since these are produced with high quality at our state-of-the-art manufacturing unit with the aid of the meticulously selected and tested high grade SS material in compliance to the standards of Industry, these have excellent mechanical strength and can tolerate rough usage with negligible wear. As a result have a very high durability. We quality test our products rigidly with the as per industrial norms to ensure these are fault-free and useful at the user-end for years and years. 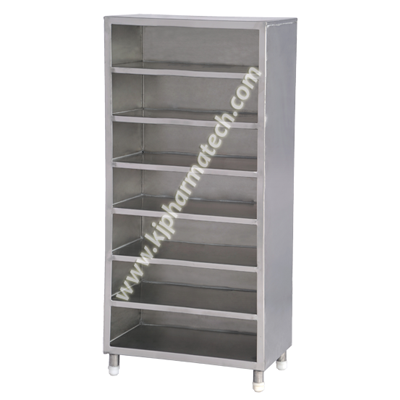 We offer our high quality SS Shoe Rack in India at very reasonable rates.